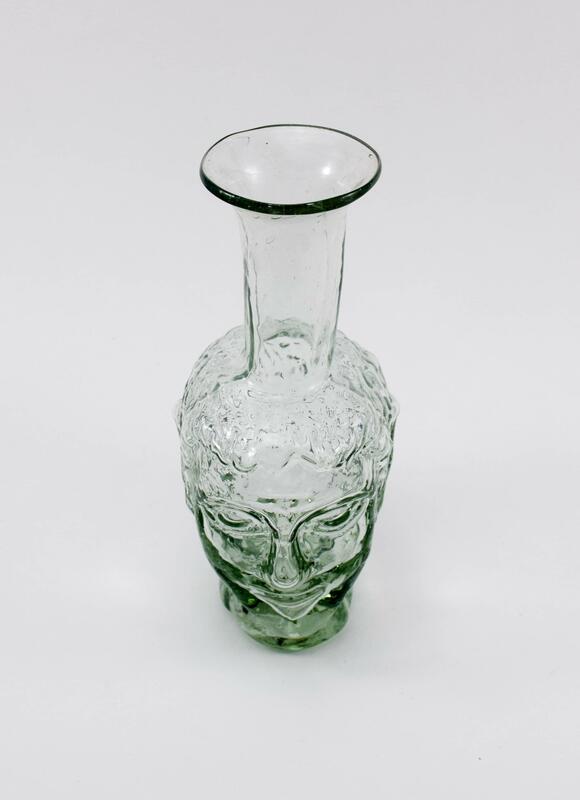 Head-shaped transparent hand blown vase with a long neck and slightly flared rim. A cylindrical neck extending out from a naïve 360-degree boy’s head. Made from transparent, recycled glass, 16cm high. Since these are handmade, there may be a slight variation in size. 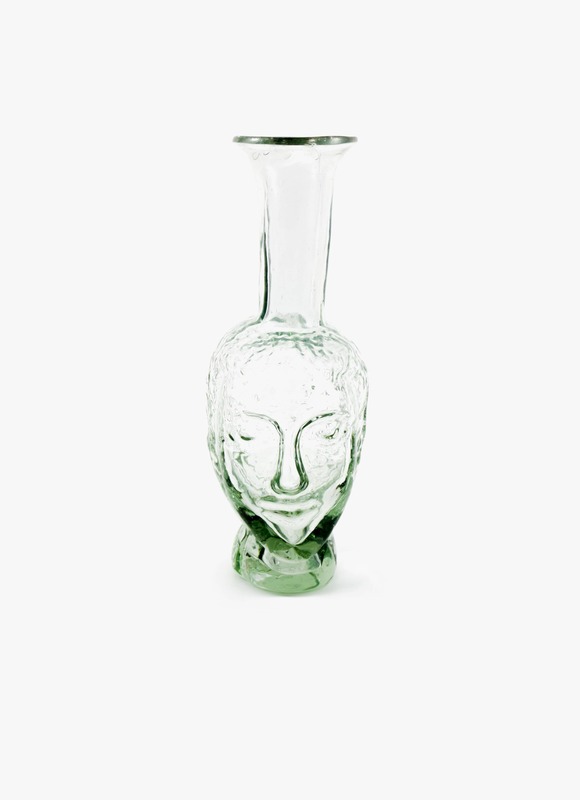 “La Soufflerie is a family-owned and operated company that aims to support glassblowers. We preserve the ancestral art of glassblowing, based from our small studio workshop in Paris. We use traditional tools and processes to create original, timeless products from recycled glass. These unique tableware designs are then handblown by our expert glassblowing craftsmen. We send our handmade collections of ethical, artisanal glassware to select boutiques around the world. Established in 2007 as a cooperative of glass-blowers, La Soufflerie offers an inspired range of tableware that is attractive, functional, and durable. Our attention to detail lends sophistication to a centuries-old craft: this is glassware tradition that we can enjoy everyday.